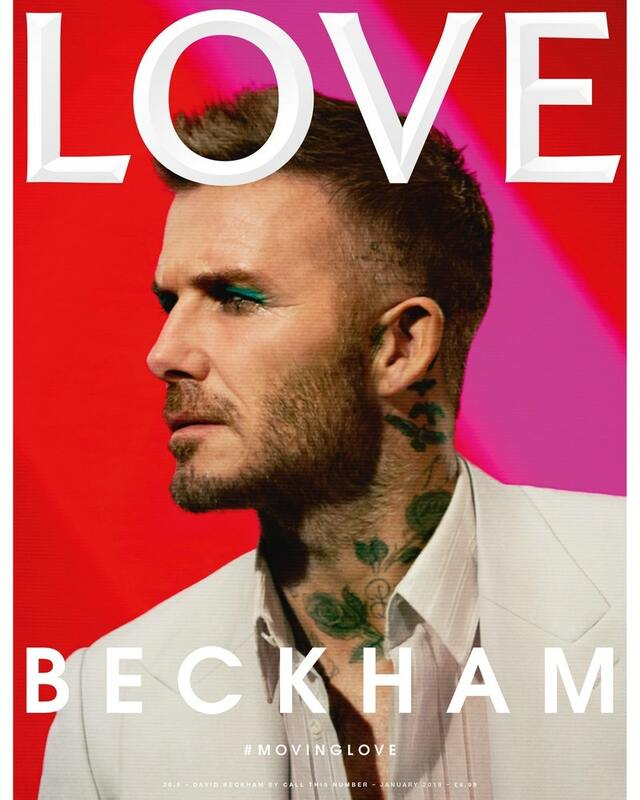 The latest issue of LOVE magazine isn’t on streets until Tuesday, Jan. 8, but people are already buzzing about its cover, which features famed British footballer David Beckham sporting green eyeshadow. 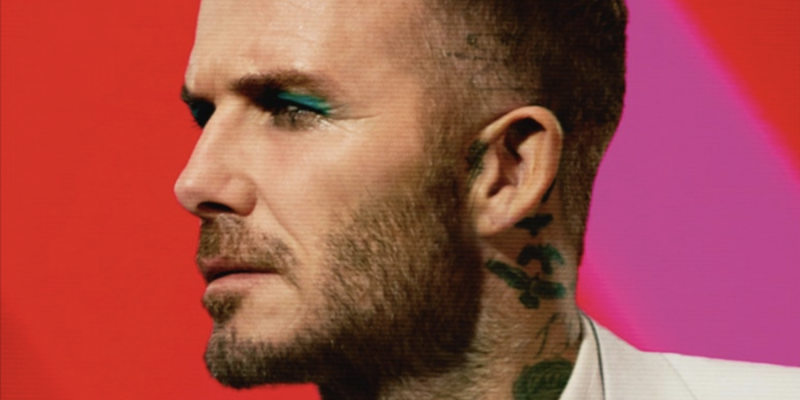 What do you think of the David Beckham eye makeup shot? 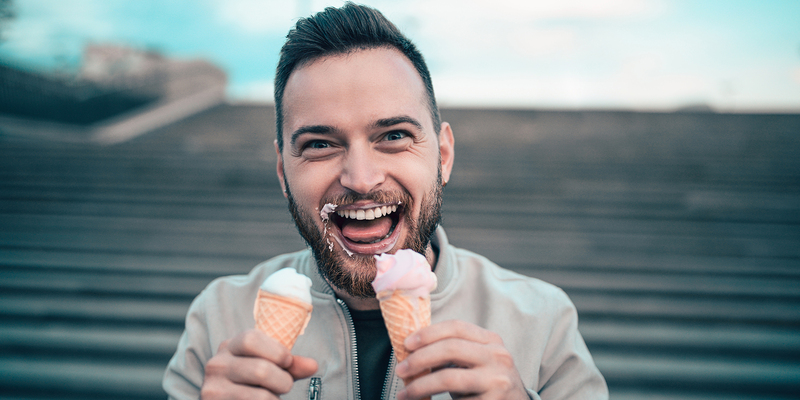 Many on social media are head over heels in love with the photograph, which features the always-stylish Beckham in a white suit — custom-made by Dior — on a red background. Since his retirement from the game, of course, David Beckham has been a highly paid brand ambassador, appearing in ads for brands including Samsung and Sprint. He’s also got his own underwear line with Swedish fast-fashion retailer H&M and most recently unveiled the grooming line House 99 by David Beckham, a partnership with L’Oreal. 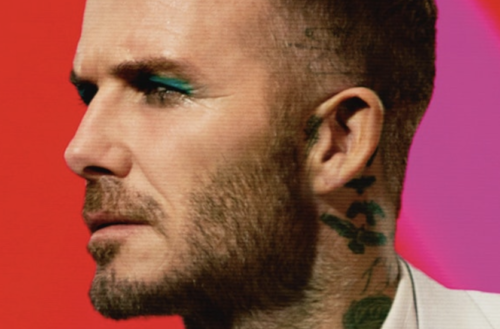 This soccer star has always been a tastemaker and trendsetter, and this David Beckham eye makeup photo is only the latest instance of him doing what he’s great at. ‘Memba when he basically spawned that entire “fauxhawk” craze? God, I sure do. The latest issue of LOVE magazine, which is part of Condé Nast Britain and which is declared to be its first “moving image issue,” is on sale now. What do you think of the David Beckham eye makeup? Are you swooning or nah?